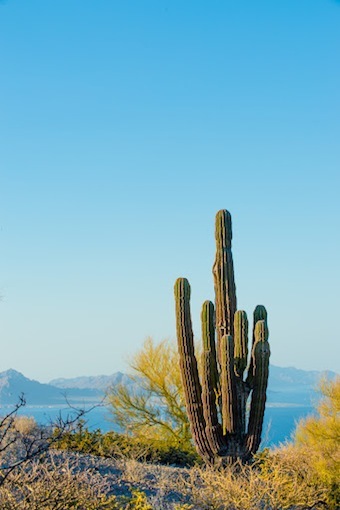 Many, many people have been telling me that that Loreto is the next hot destination on the Baja Peninsula. So when I got the opportunity to interview Paul Moreno from Villa Group Resorts about their newest hotel in Loreto, I was pretty excited. 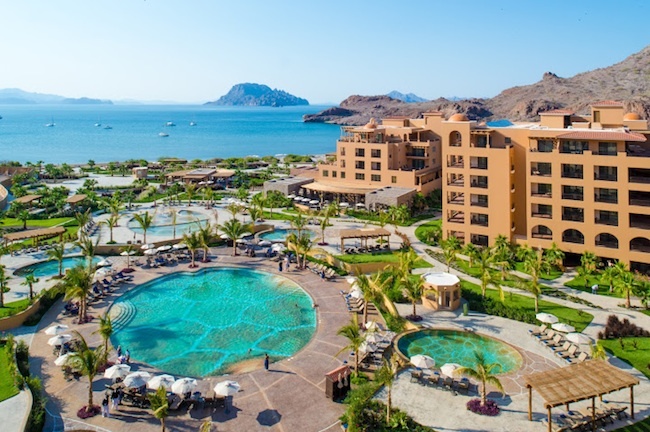 The Villa del Palmar Resort & Spa at the Islands of Loreto opened last year and is just the beginning or, as Paul puts it, “one small piece of the masterplan” towards their ultimate goal – a 1,850 acre development called Danzante Bay. 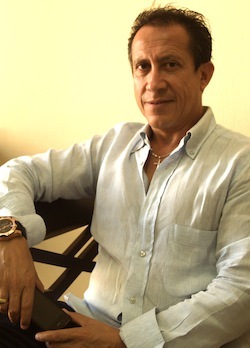 Paul Moreno is the VP of Hotel Operations for the Villa Group and has had experience with hotels all over the world. 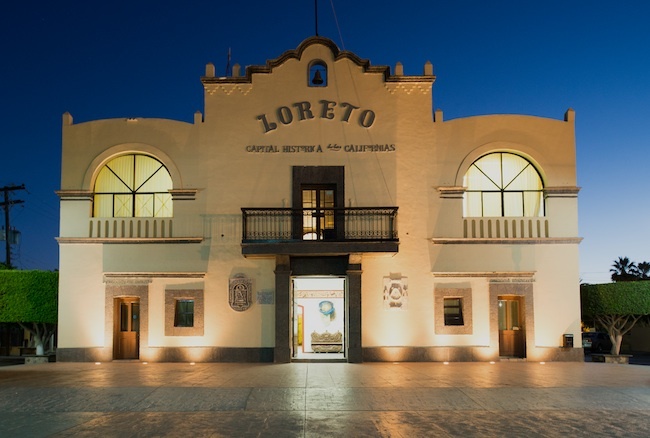 He thinks that Loreto has its own special charm and was excited to tell me about his newest hotel adventure. First off, let’s start with you. How did you get started in the Hotel Business? That’s a very long time ago! I started with hotel management school in Nice, France. From there I worked in Cannes. I was hired by the Villa Group to work in Cabo San Lucas and then I was promoted to the Vice President of Operations of the Villa Group. I helped open a Villa Group resort in the Riviera Nayarit. Then I took some time to work with a French company in Los Cabos. It didn’t work out due to the economy and I came back to the Villa Group. That sounds like a lot of places. Did you have a favorite? Every place has an exculsive charm. They have all taken a little piece of me. I loved Bali. But Mexico is the place I’ve stayed the longest – 12 years. So obviously Mexico has a very special place for me. Villa Group just opened their Loreto hotel 2011. What have been the challenges of a new hotel? Opening the new hotel was not a challenge; I’ve opened many hotels. [The challenge was] building a new destination and letting people know that we are here! Can you describe the location of the Villa del Palmar Beach Resort & Spa? The resort is located on a beautiful bay, 30 minutes outside of Loreto. Surrounded by the mountains and ocean, the hotel is on a plateau. It’s a very beautiful combination; calm see-through waters with a background of red, rugged mountains. Wow! I want to go there. How do you get there? We’ve been working with many alliances with the airlines. Right now, there is a direct flight 5 days a week from Los Angeles. There are also flights from Cabo 4 days a week. Most people who are coming from the East Coast fly into Cabo and then connect to Loreto. Especially in the winter when Cabo has many direct flights to those locations. Of course you can also drive. Many people drive from Cabo and even from San Diego. What’s the town of Loreto like? Loreto is a small fishing village. It’s been around since the 1st mission in Mexico. The architecture is very Spanish colonial with old colorful homes and a beautiful church. There are 8,500 people and everyone knows each other. It’s very safe. People can sleep without locking their doors or leave their car unsecured overnight and find it exactly as they left it. It’s a very secure and safe environment. There’s a great diversity of nature with the ocean and the mountains. The ocean is calm and filled with plenty of fish. Jacques Costeau called the area the Aquarium of the World; we have many fish that you can rarely find. People enjoy scuba diving, paddleboarding and fishing. 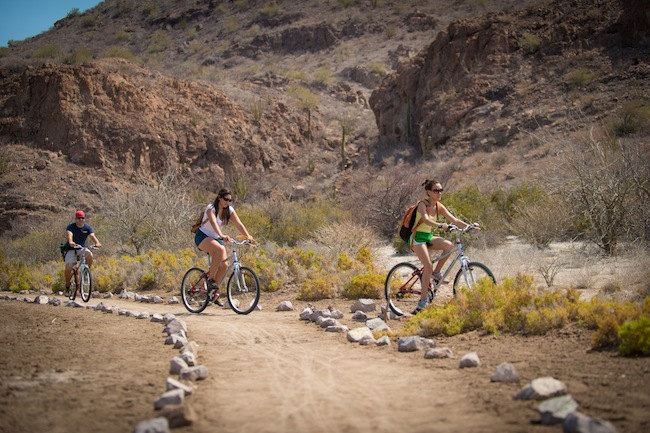 People also enjoy mountain biking, birdwatching and hiking. We have tracks all along the mountains near the hotel. There are signs describing the flora and the fauna and the history. We want to show people something they don’t see back home. People really love this. I heard that Chocolate Clams are very popular in the area. Have you tried any? At the Villa del Palmar, we like to take Mexican and local flavors together and show [our guests] the local specialty. We are lucky that we can swim a hundred years and collect our own clams. It doesn’t get fresher than that. Our executive chef [Roberto Cardazzo from Venice, Italy] goes and gets clams himself. He even invites people to come along. It’s becoming a popular activity. The guests get to discover the beauty and learn something. We don’t charge for the catching of the clams; it’s part of the fun and discovering the beauty of the region. Afterwards, Roberto can prepare the clams to your liking. Wow! Are there any other special activities that you offer? We offer star gazing nights. It’s really beautiful. When we built the hotel we didn’t want to put lights all around the palm trees. We only put tiny lights to light up the side walks. That way we can look at the stars on the 360 beautiful starry nights. 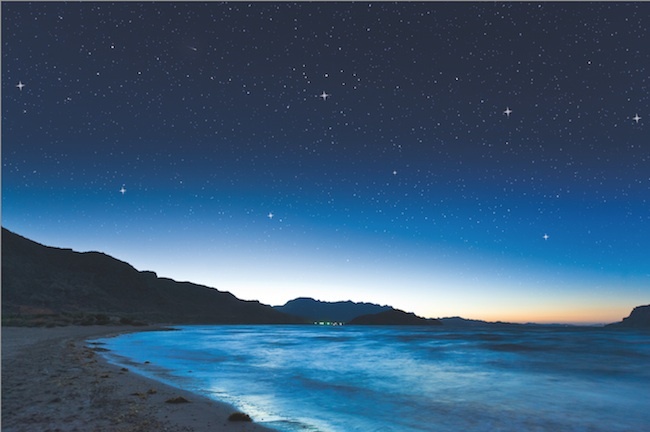 Every night you can look up and see any star you can image. We give out full explanations of the stars. 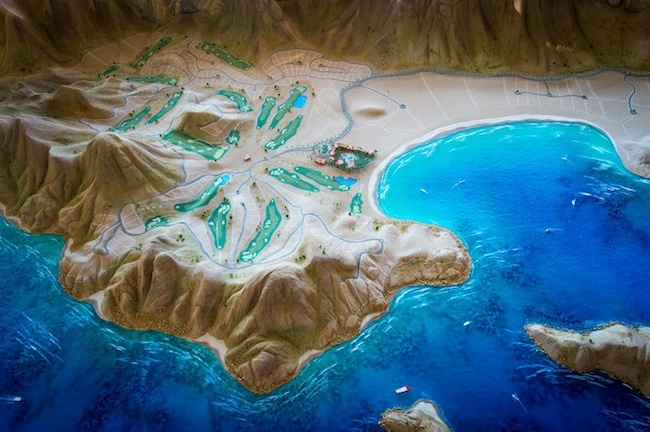 There are plans to build a bigger development in the area – Danzante Bay. What will that be like? The Villa Group has 1,850 acres. Ultimately, there will be 7 beachfront hotels. Behind the hotels, there will be a golf course built by Rees Jones with a residential area around it. Construction on that will begin next year. There will also be a commercial area with shops and entertainment. We are very passionate about the resort and we have been able to get good recognizition. Expedia gave us a 5 star rating for quality. In a very short time, we have been able to show the beauty of the area. We are very seculuded, but we have been able to provide. It sure sounds like it! Thank you for your time. I can’t wait to visit Loreto. Who’s coming with me? Photos provided by the Villa Group.